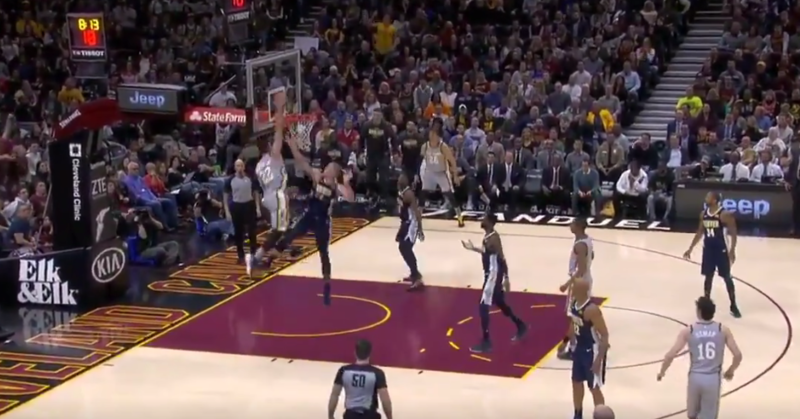 INDEPENDENCE, OHIO– Larry Nance Jr., Rodney Hood and Tristan Thompson have all been upgraded to questionable for Friday night’s Cavaliers-Suns game. Nance Jr. hasn’t played since March 13 when the Cavs played Phoenix on the road, due to a right hamstring injury. Thompson sprained his ankle on March 5, and Hood has been dealing with low back pain. All three players took part in shootaround on Friday. Cedi Osman remains out with a hip flexor strain, while Kyle Korver is still away from team dealing with the death of his younger brother. If both Nance Jr. and Thompson play tonight, interim head coach Larry Drew will have to decide who to start at the center position alongside Kevin Love. In a smaller sample size, Nance Jr. has put up better numbers, averaging 11.6 points and 7.9 boards in 13 games with the Cavs since he was acquired at the trade deadline. Thompson is averaging 6.3 points and 6.5 rebounds this season.